Kais’ Clan is cloud-based collaborative programming and robotics environment where students or even remote partner schools on the other side of the world can work together. Whether it’s localized classrooms or crossing borders to schools in Brussels, New York or Japan, you can collaborate with each other all in real-time. A smartphone camera app (“Kai’s Eye”) tracks the movements of each robot on the mat via their unique markers. This position data, along with any on board or attached sensor data, is sent to the cloud multiple times per second, giving real time updates. Kai’s Clan brings together the next generation of technology to your classroom. Incorporating cloud computing, VR, AR, computer vision and more, it is the most exciting and versatile way to teach coding. Decades ago, line following robots had been a standard for learning about coding. Now, they aren’t enough to prepare students for the future world. Let’s get with the time and teach outside of the line. Kai’s Clan know your students are smart learners and treat them accordingly! Through the interactive assignments and fun projects, Kai’s Clan helps cement a solid foundation for computational thinking, giving students valuable skills and work habits to carry with them through life. Kai’s Clan is simple to deploy and intuitive to use. Kai’s Clan encompasses swarm robotics, computer vision and internet of things. It brings these advanced technologies together into an easy learning and engaging experience. Kai’s Clan resides in the cloud with a student management system and connects seamlessly between bots and up-to 30 sensors. The teacher allocates robots to students and each student has their own logon which gives them access to control their assigned robot. With a wide variety of comprehensive lesson plans, students are tasked with solving micro-versions of real-world problems. This allows students to relate and have a better grasp on issues that are happening around us. 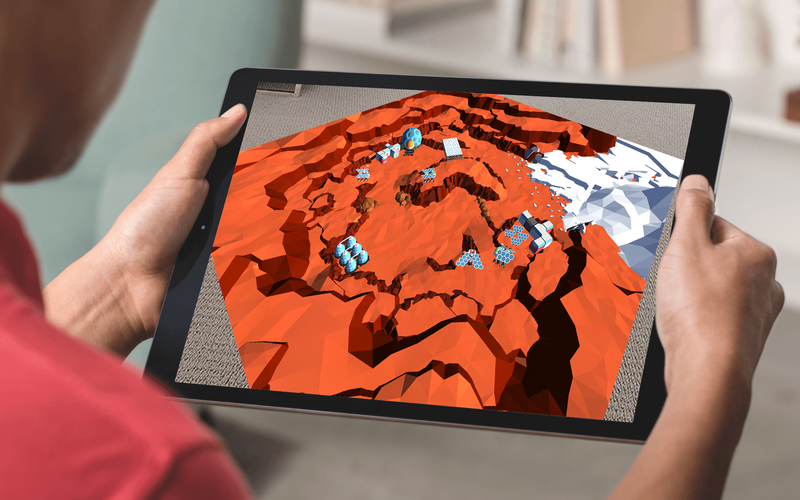 To really bring these to life, we created 3D virtual renders of these maps, so students can see their programming from a 1st or 3rd person view on their device. 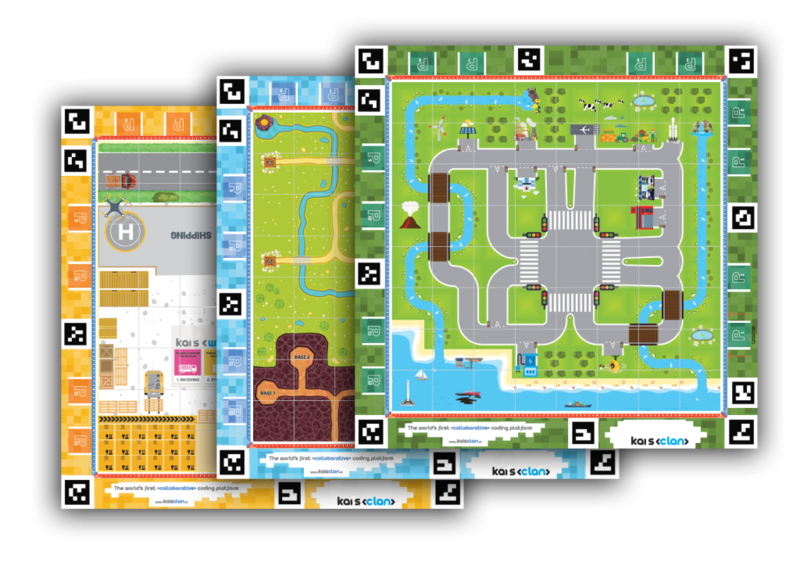 Adventure maps also have augmented reality – simply hold the camera of your device over the map to see it really come to life! Hold mouse over image and move the cursor. Immerse yourself in a digital projection of the physical world! From the browser interface, students can open a 3D view of the mat, click on a robot, and see the virtual world through their perspective. Program a taxi ride in the Smart City, or get a guided tour of Mars on an autonomous rover! 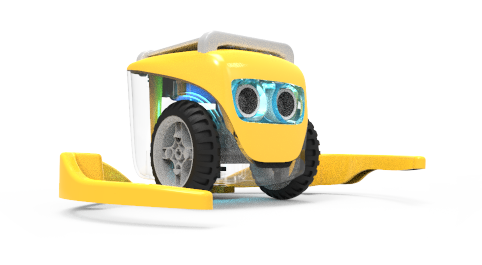 It’s easy to equip a Kai robot with the sensors needed to get the job done! Pop on a humidity sensor to just one of the Kai bots and then the entire class can use the data in their code. It’s about sharing and team work to get the job done. Classrooms who are already using Google Blockly or Scratch in their curriculum will find familiarity with Kai’s Clan. It removes the additional work for teachers to learn a whole new system. 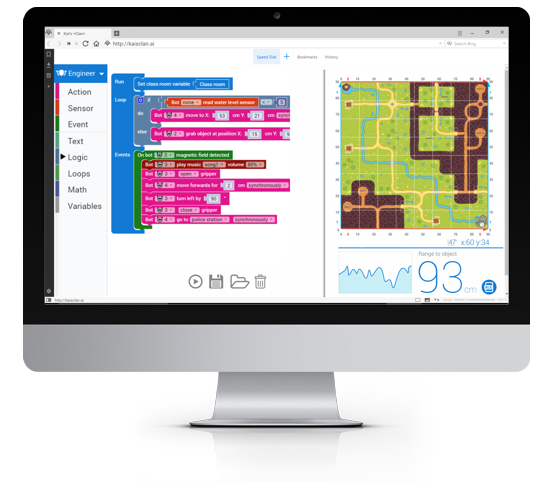 Enrich students’ learning with the visually engaging and easy to understand coding platform, which paves the way for learning script-based language in the future.